Why “Tulaan”? In English, it roughly translates to catchment, referring to a stream down below the gallery, which catches water quietly flowing from springs around it and from constant rains that keep the surroundings green. The stream then meanders through the hillsides and fields where farmers use it to water their crops or quench the thirst of their cattle, until it finally flows out and joins one of the biggest seas in the world, the Pacific Ocean.This is how we envision the “Galerie du Tulaan” to be: a catchment where artists, from Batanes and afar, can converge, share their talents and experience and work together to promote our unique Ivatan history, culture and heritage among Ivatans, as well as, visitors who have been coming to our islands in increasing numbers.Hopefully, from the exhibits, workshops and conferences we will organize during the course of the year, Ivatans will have a better appreciation of and value for their unique heritage and the world outside will develop a deeper understanding of our treasured province and its hardy people beyond the beauty of its landscapes and seascapes and the friendly and welcoming demeanor of its people. 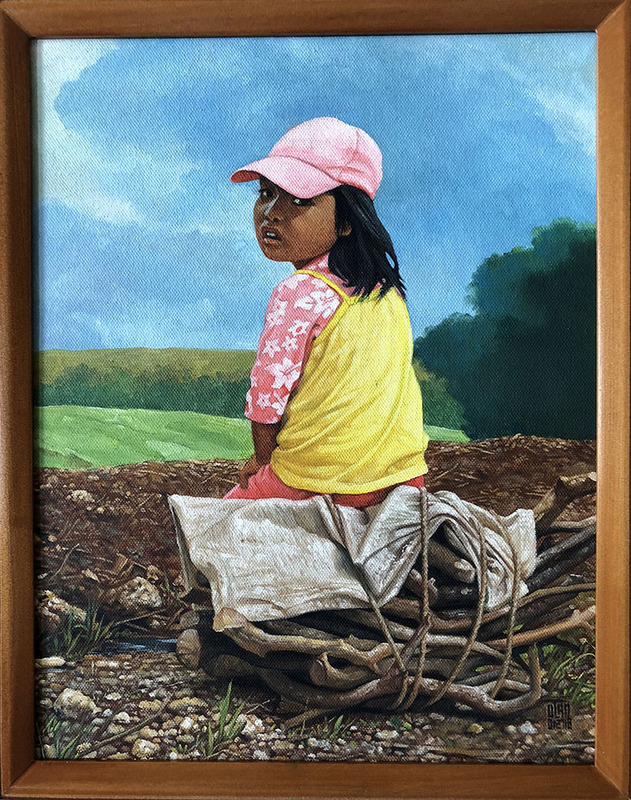 Galerie du Tulaan opened last January 10, 2018. 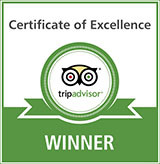 It is located at the Fundacion Pacita complex. In elementary, he held his first paint brush using Artex watercolours. He studied magazines and even biscuit cans to see how artists developed their style. 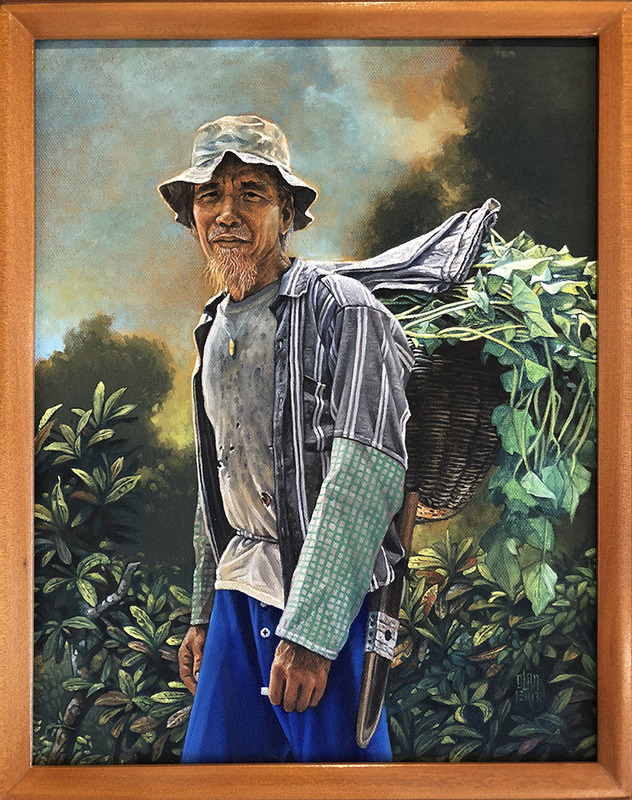 But it wasn’t until high school that he experienced the “discipline of painting with oil”, that is, using acrylic house paint on used flour sacks as canvas. Instantly, he saw marked improvement in his work and his interest grew more intense. It did not take long before people began to take notice of his life-like, detailed and textured depiction of the everyday life of Ivatans. As he gained access to more and better materials and exposure to other artists, his technique and style in realism developed by leaps and bounds. Soon, he was participating in exhibits, getting commissions and earning recognitions. Back in Batanes, together with an emerging crop of young artists and with the support of the Pacita Abad Center for the Arts, they formed an artists’ cooperative—Yaru nu Artes—to nurture, preserve and promote the unique and rich cultural and environ- mental heritage of the Ivatans through the visual arts. 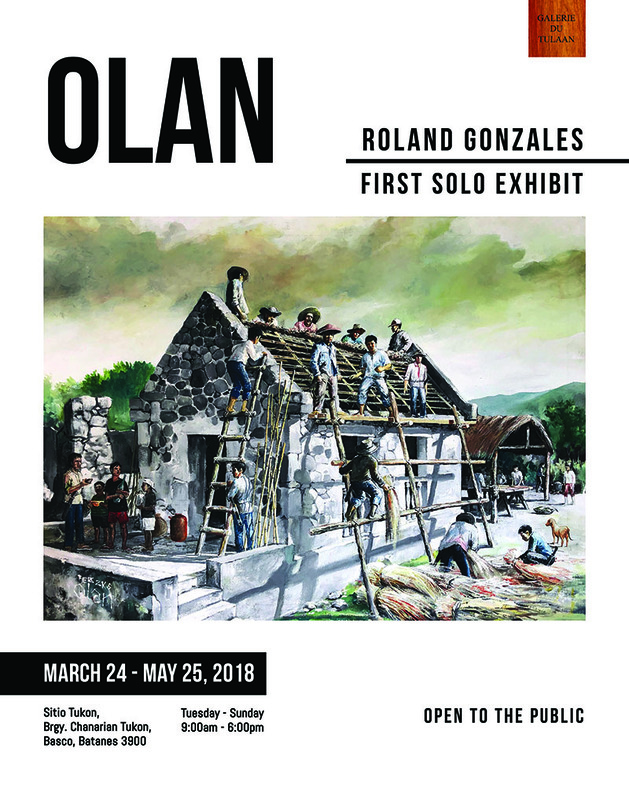 Through this first—and long overdue—solo exhibit, Olan hopes to assure everyone that while he has withdrawn to his roots in far-away Itbayat, his advocacy for a balanced and sustainable development and his dedication to his craft continues—ever more passionately and intensely.